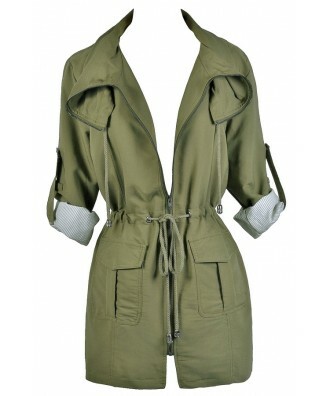 You have added Every Day Is An Adventure Jacket In Olive into shopping cart. We love when we stumble across a wardrobe staple that is cute and casual. 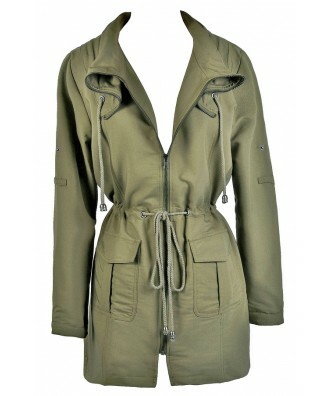 Toss this olive green jacket on any time you are running errands and you'll instantly look polished without much effort. The Every Day Is An Adventure Jacket is fully lined. It has a zip front foldover collar, two front pockets, and sleeves that can be rolled up and buttoned. Pair this jacket with denim and flats while you're out running errands, or pair it with black leggings for a cute and casual day look. 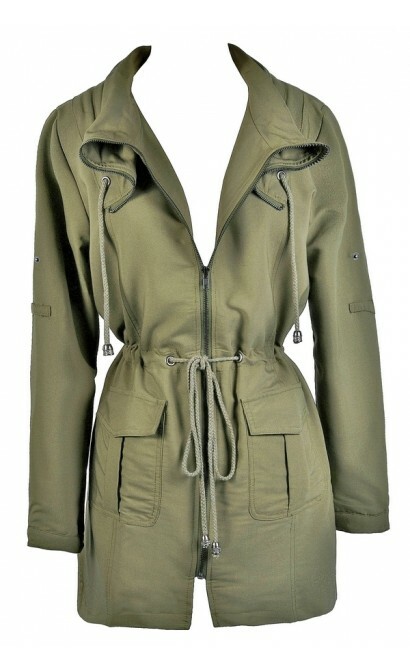 This jacket is perfect to pack on your next hiking or camping trip as well! Details: Fully lined. Front pockets. Front zipper. 100% polyester. Lining: 100% cotton. Dry clean only. Small measurements: Length from top of shoulder to hemline: 29". 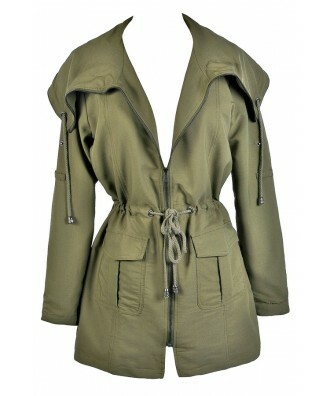 You have added Every Day Is An Adventure Jacket In Olive into Wishlist. 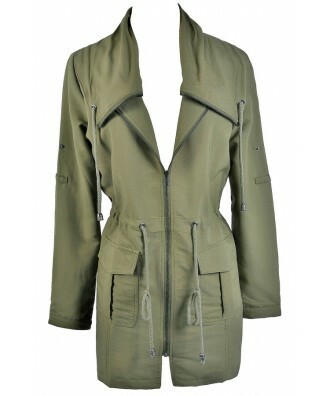 You have added Every Day Is An Adventure Jacket In Olive for Stock Notification. 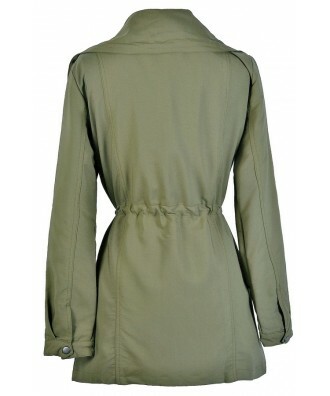 You have set Every Day Is An Adventure Jacket In Olive as a loved product. 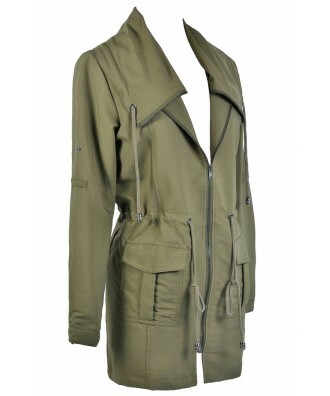 You have removed Every Day Is An Adventure Jacket In Olive as a loved product.